Below are the differences between the 'Draft Final Report' released on 5th April and the final 'Report' which was passed on 11th April by a majority vote of the Oireachtas Water Committee. As far as we can make out there are two amendments to the draft report and in our view, they are substantial. 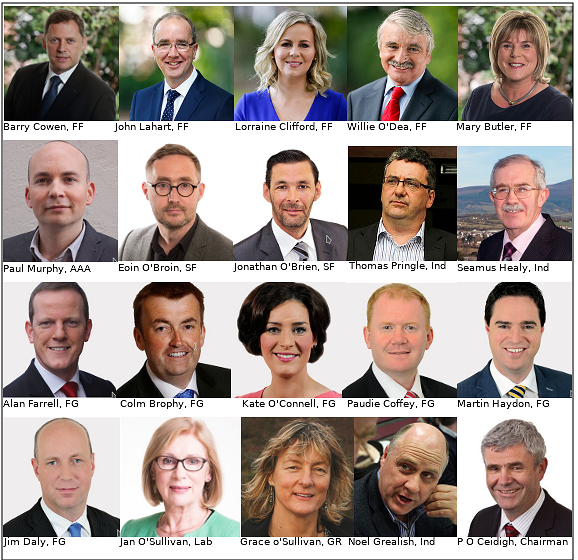 The final vote was was 13-7 in favour of the final report. . Voting for were 5 Fianna Fáil and 6 Fine Gael members along with Noel Greenish, Ind and Chairman P O'Ceidigh. Voting against all 5 Right2Water member andsurprisingly Jan O'Sullivan, Lab and Grace O'Sullivan, Green Party. Incidentally, we believe that the Labour and Green Party members voted against because the report did not go far enough with respect to charging and metering. Buncrana Together believes that the amendments to the 'Draft Report', even though few, are substantial. However, both the draft and final reports are full of vague phraseology which is open to interpretation, legislative manipulation and Government interference. No doubt we will see Simon Coveney in the future putting a Government slant on it when it comes to legislation. By the way last week's 'draft report' , in our view, was far from a victory and any claims to such needs questioning. We will have more to say on this in a later article that may possibly be our swan song, an adieu to dishonesty and political manipulation and all those who take part in the grand charade of a parliamentary system.